AVCHD is a High Definition video format that was jointly designed and developed by Panasonic and Sony companies. AVCHD camcorders capture a variety of media based formats including flash memory, hard disks and 80mm DVDs. AVCHD is one of the most common formats for camcorder and it can compress and produce high quality videos. If you intend to edit files with AVCHD formats in FCP, you will be faced with many obstacles. You need to convert AVCHD to ProRes format. Here we recommend three converters you can choose from, desktop, free and online. First comes Wondershare UniConverter for Mac (originally Wondershare Video Converter Ultimate for Mac). 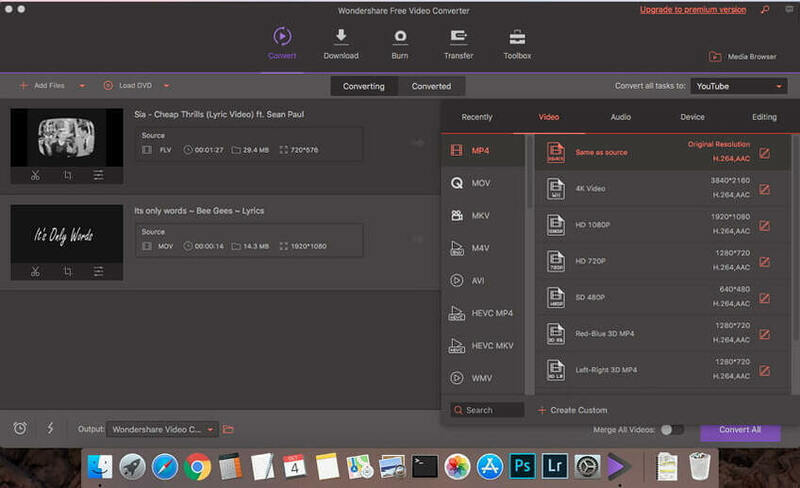 This is a step by step user guide that helps you understand how to use Wondershare UniConverter for Mac (originally Wondershare Video Converter Ultimate for Mac) to Convert AVCHD Videos to ProRes format. Convert AVCHD to ProRes, MP4, MOV, M4V, and other over 1000 formats. Step 1 Add AVCHD files to the converter. 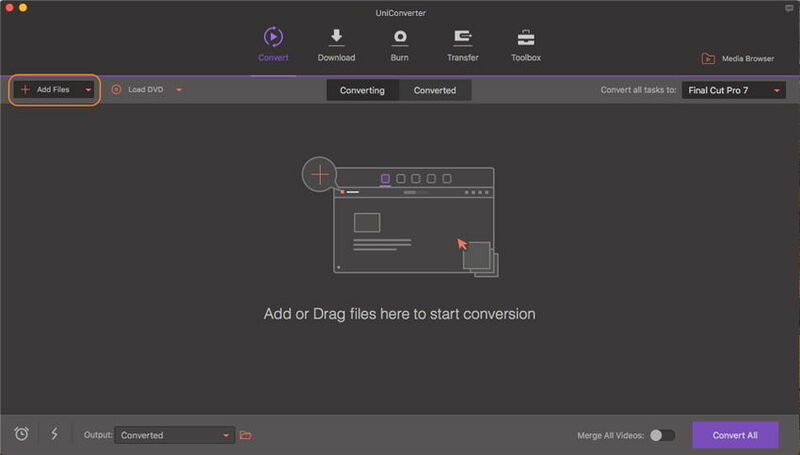 Launch Wondershare UniConverter for Mac (originally Wondershare Video Converter Ultimate for Mac) and then plug in your video recording device (camcorder). Wait for some time for your device to be detected. Click Add Files to load AVCHD files that you captured using a camcorder to Wondershare UniConverter for Mac (originally Wondershare Video Converter Ultimate for Mac). Another method to add AVCHD files is to drag-n-drop the files onto the software. Step 2 Select the output format as Final Cut Pro. Once the AVCHD files are uploaded onto this software, click beside Convert all tasks to: and go to Editing > Final Cut Pro, i.e. choose ProRes format as the output format. Step 3 Convert AVCHD to ProRes Mac. Now just hit Convert or Convert All to start converting AVCHD files to ProRes format. Once the conversion completes, click the folder-like icon in the bottom to fetch the converted files. This is a free to use video converter tool that enables users to quickly and easily convert any video format to play on any iOS device. It is a latest technology tool that allows Mac users to download and convert videos from YouTube to iPad, iPhone, Apple TV and Ipod absolutely free. To convert your video format using Wondershare Free Video Converter for Mac, you just follow the three simple steps. The first step is to directly drag your video files into this tool. The second step is to select the output format of your choice. The final step is to click the "Convert" button to start the video conversion process. With this tool, you can not only watch digital content on the internet, but also enjoy YouTube videos offline anywhere, anytime and without spending any money. 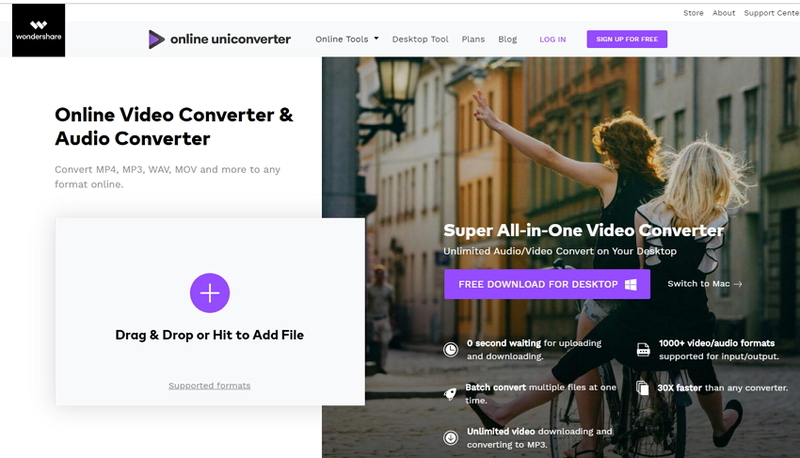 Online UniConverter (originally Media.io) enables you to convert your file from AVCHD to ProRes with the utmost convenience and ease. 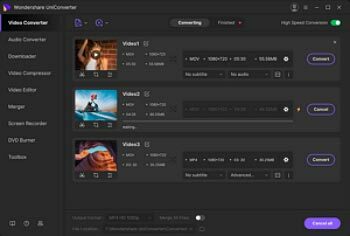 All you need is to upload your AVCHD video file, choose ProRes-compatible format and click Convert to initiate the conversion online. Note that it offers you a option to save the converted video via Google Drive, which ensures you that converted files is safe and only accesible by you.